snow wolf sw-10 fit vsr parts? Hi, there is a website that currently has some snow wolf sw-10's on sale and i was wondering what upgrade parts they take? i was hoping they would take vsr parts so i could get one for spare parts for my vsr clone. I called action hobbies and the guy said he thinks it takes aps2 parts allthough i couldnt hear him very clearly so could be wrong. anybody else got any ideas on what upgrade parts it will take? Thanks, Ruan. 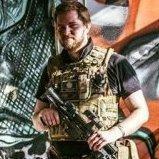 Your best bet is to send dazz a personal message, he runs Airsoft Sniper Parts .co.uk, I imagine he'll be able to set you straight. Hi, funnily enough i just sent him one via his website just before you posted that, lol! he said he is yet to have any experience with that particular gun so isnt entirely sure. I'll leave it open though, just in case someone comes along and adds to it later. This may do, one of the guys me and some of The members plays with bought a snow wolf gun and got vsr bits to fit. I'm not sure which one it was though so I'll ask and check for you. That would be much appreciated, Thanks.